WFIRST ain’t your grandma’s space telescope. Despite having the same size mirror as the surprisingly reliable Hubble Space Telescope, clocking in at 2.4 meters across, this puppy will pack a punch with a gigantic 300 megapixel camera, enabling it to snap a single image with an area a hundred times greater than the Hubble. With that fantastic camera and the addition of one of the most sensitive coronagraphs ever made – letting it block out distant starlight on a star-by-star basis – this next-generation telescope will uncover some of the deepest mysteries of the cosmos. Oh, and also find about a million exoplanets. When Does the Sun Rise… Really? It’s strange but true. We may not fully understand one of the simplest metrics in observational astronomy: just what time does the Sun rise… really? It’s always easier to show someone a picture of something rather than to use 1,000 words to explain it. The people at NASA’s Scientific Visualization Studio (SVS) know this, and they’re experts. Every year they release a simulation of the Moon that shows what the Moon will look like to us each day. NASA’s Moon simulator uses images and data captured by the Lunar Reconnaissance Orbiter (LRO) to recreate the Moon on each hour of each day of each month in 2018. You can input any date and time to view the Moon (Dial-a-Moon) as it will appear at that time. You can also watch a video of the Moon over the course of the entire year. Along the way, you might learn something. Saturn is an icon. There’s nothing else like it in the Solar System, and it’s something even children recognize. But there’s a distant object that astronomers call the Saturn nebula, because from a distance it resembles the planet, with its pronounced ringed shape. 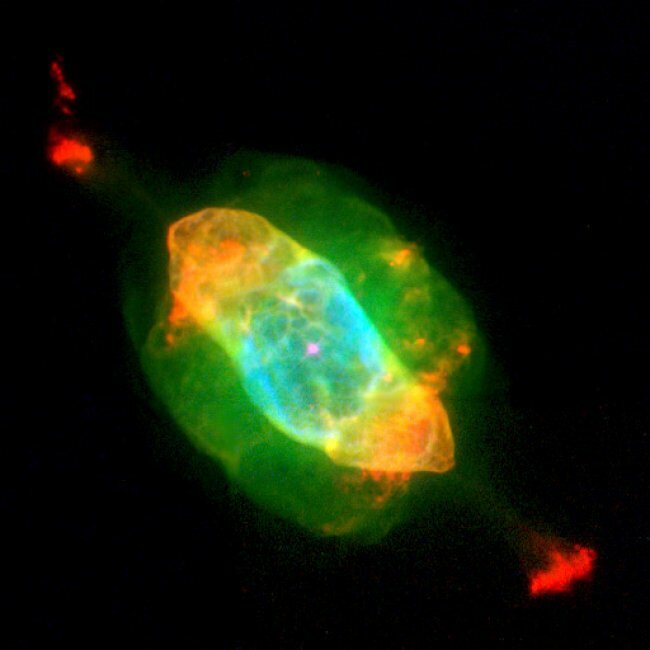 The Saturn nebula bears no relation to the planet, except in shape. It’s about five thousand light years away, so in a small backyard telescope, it does resemble the planet. But when astronomers train large telescopes on it, the illusion falls apart. It’s been 124 days since the Parker Solar Probe was launched, and several weeks since it made the closest approach any spacecraft has ever made to a star. Now, scientists are getting their hands on the data from the close approach. Four researchers at the recent meeting of the American Geophysical Union in Washington, D.C. shared what they hope they can learn from the probe. They hope that data from the Parker Solar Probe will help them answer decades-old question about the Sun, its corona, and the solar wind. Scientists who study the Sun have been anticipating this for a long time, and the waiting has been worth it. “Heliophysicists have been waiting more than 60 years for a mission like this to be possible. The solar mysteries we want to solve are waiting in the corona.” – Nicola Fox, director of the Heliophysics Division at NASA Headquarters. NASA’s OSIRIS-REx (Origins, Spectral Interpretation, Resource Identification, Security-Regolith Explorer) has found water on the asteroid Bennu. Bennu is OSIRIS-REx’s only target, and though the spacecraft arrived at the asteroid on December 3rd, some of its instruments have been trained on the asteroid since mid-August. And two of those instruments detected water on Bennu. OSIRIS-REx wasn’t sent to Bennu just to find water. The mission is NASA’s first asteroid sample-return mission. The presence of water on Bennu confirms what the science team hoped would be true when they selected the asteroid as the spacecraft’s destination: Bennu is an excellent target for scientific inquiry into the early Solar System. 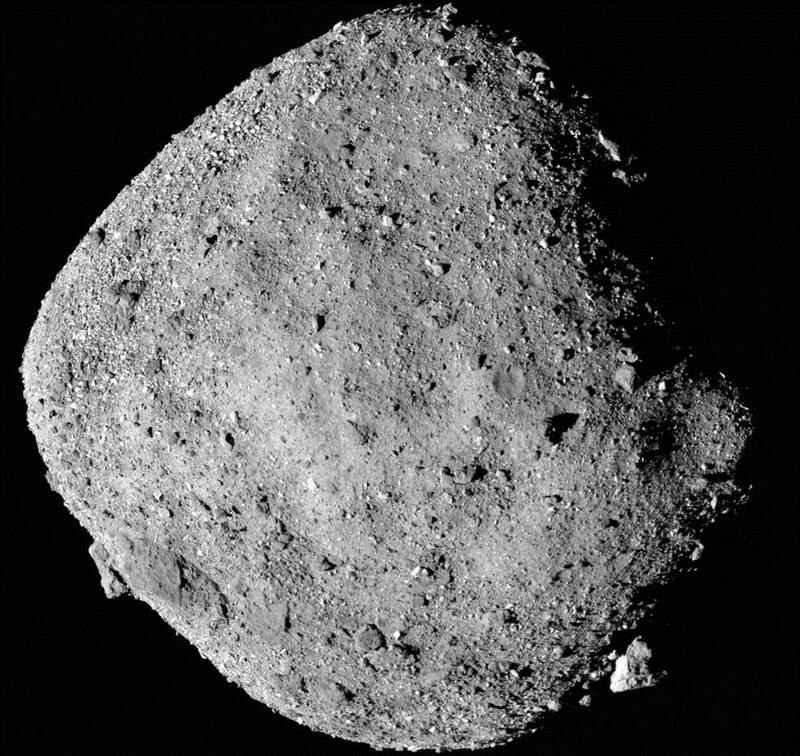 “The presence of hydrated minerals across the asteroid confirms that Bennu, a remnant from early in the formation of the solar system, is an excellent specimen for the OSIRIS-REx mission to study the composition of primitive volatiles and organics.” – Amy Simon, OVIRS deputy instrument scientist, NASA’s Goddard Space Flight Center. Imagine yourself in a boat on a great ocean, the water stretching to the distant horizon, with the faintest hints of land just beyond that. It’s morning, just before dawn, and a dense fog has settled along the coast. As the chill grips you on your early watch, you catch out of the corner of your eye a lighthouse, feebly flickering through the fog. And – yes – there! Another lighthouse, closer, its light a little stronger. As you scan the horizon more lighthouses signal the dangers of the distant coast. Astronomy is one of humanity’s oldest obsessions, reaching back all the way to prehistoric times. Long before the Scientific Revolution taught us that the Sun is at the center of the Solar System, or modern astronomy revealed the true extend of our galaxy and the Universe, ancient peoples were looking up at the night sky and finding patterns in the stars. For some time, scholars believed that an understanding of complex astronomical phenomena (like the precession of the equinoxes) did not predate the ancient Greeks. However, researchers from the Universities of Edinburgh and Kent recently revealed findings that show how ancient cave paintings that date back to 40,000 years ago may in fact be astronomical calendars that monitored the equinoxes and kept track of major events.